 Medical Relief International as a charitable organisation and an international NGO is always in need of additional funding for our projects. Your support is vital in the work we carry out and undertake on your behalf, we would not be able to continue our vital work in sometimes difficult conditions without funding from donors and charitable giving. Keeping projects going for an organisation of this kind is a huge responsibility and can sometimes be dependent on funds being raised by donors and individuals through standing orders. The projects we undertake whether it be in Europe, Africa, the Middle East or even here in the UK are vital and form part of a global just giving community that brings us all closer together to help humanity at large. Medical Relief International wherever possible will always encourage our donors who support our work to donate to our general project fund, this fund then allows Medical Relief International to use the donation wherever it’s needed most. Unrestricted income fund allows Medical Relief International to respond effectively and efficiently to the needs of the people and the overseas organisations we work with. This will also allow our colleagues to better plan and implement projects based on needs and requirements. As a charity we focus primarily on women children and the disabled wherever possible. Our projects have a start and finish date to ensure that we are working towards agreed costs and we ensure that all projects are agreed upon by signed MOU’s. We carry our regular audits by checking the costs that the charity incurs via third parties and even our partner organisations to ensure the donors trust is always our first priority. Our projects are run by local registered partners that have a number of years experience, they are fully transparent and have lasting benefits for everyone involved. Over the last 24 months we have helped to improve the lives of 100’s of refugees, helped support disabled projects for refugee children, encouraged women and children to undertake schooling and educational courses, built homes for the needy, donated fishing boats to those that were unable to afford them, given water to families in the deserts of Jordan. By supporting Medical Relief International you will be helping us to reach those who don’t always have access to support and care that Medical Relief International can provide. Just Giving £10 a month can help Medical Relief International continue the vital work we so passionately believe in. If you would like to set up a standing order of £10 a month please click here (Link back to Bank Transfer Page).